Fusion is risky music – there is a fine line between garbage and fine art. More often that not fusion is garbage. 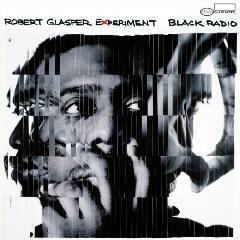 Robert Glasper pulls off his fusion as high art with a brilliant combo-platter of jazz, neo-soul and hip hop. I somehow have known about this album for months yet I did not even know who Robert Glasper was until I listened to this album today. I think I saw the album cover (which is an instant classic) a few months ago, saw it was on Blue Note (I have never heard a bad album on Blue Note), heard that it had some hip hop cred, and some cool guests. It was enough to keep it on my mental to-do list (not much makes it to that fragile list). Well it is fantastic. Robert Glasper is a legitimate jazz piano player who just happens to have Kanye and Dilla credits on his resume. This album is more neo-soul and hip-hop than jazz and that is a good thing. It is narcotic mellow, yet it won’t put you to sleep. This is a guest packed album (Erykah Badu, Lupe Fiasco, Mos Def to name a few), but it is an elegant collage and not just vocalist and MCs thrown up like stickers on a lamppost outside a nightclub. Songs segue from one cut to another like sips of fine wine between bites of a gourmet dinner. Robert must have a great publicist as he has great profiles in the New York Times and NPR. Read them and Robert’s website and you will be likely be intrigued enough to give this album a spin. You won’t be disappointed. Just listened to the piece you posted. Yeah, that’s real good. A few more discoveries today. Refresh and expand (like i need to) the listening experience. Good work Axl. Yes I’ve heard of him but have never got around to his music. I’m still a sax guy and am always looking for new stuff. The last group of players were James Carter and Joshua Redman. I will acquire some KW. So many great players. You have a pretty good batting average so far.